Santa Claus may run deliveries out of the North Pole but he hangs his hat where his heart is, in Gatlinburg, Tennessee. 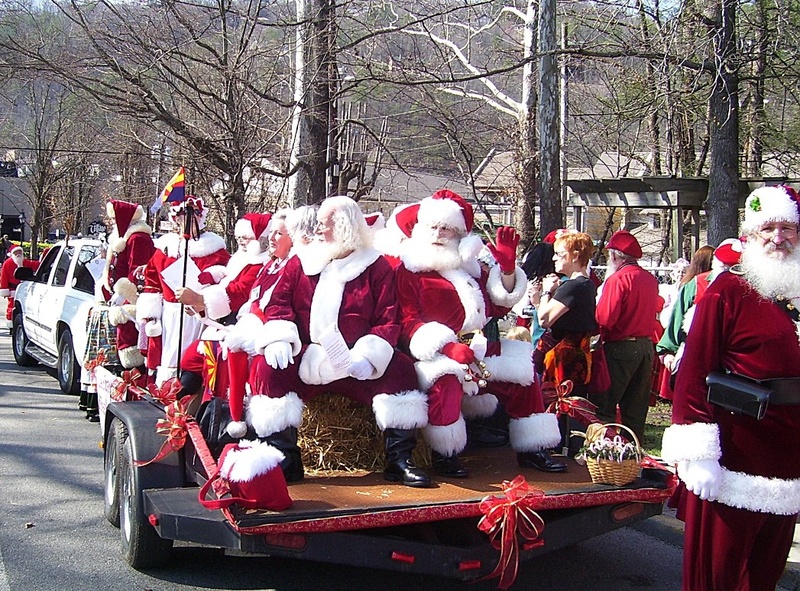 The proof is in the parade – which happens this Saturday, when a whole convention of Santas and Mrs. Santas take to the streets of Gatlinburg to turn the seasons upside-down for all the Spring Break vacationers! Santa needs a break too, and that’s why Santa families from across the country and around the world have descended on Gatlinburg again this year for the annual ClausFest, held at the Gatlinburg Convention Center March 15-19. The event is by registration only, and creates a rare opportunity for inveterate and professional Santas to meet in joyous fellowship and share tips and tricks about the art and craft of being Santa and Mrs Claus. The Santas have an action-filled agenda for themselves throughout the event, with workshops, vendor shows, variety shows and dinner celebrations. But to kick off ClausFest in style – and ever generously – the Santa crews step out to give us a sight to behold in their Grand Santa Parade, complete with Mrs Clauses, helpers and elves. They say that the REAL Santa will be in the parade somewhere, but it’ll be the children who have to determine just who he is! To close the ClausFest convention on Wednesday, March 19, from 11 am to 12:30 pm weather permitting, our jolly red friends will take to the snows again with snow-tubing Santa Races at Ober Gatlinburg’s Snow Tubing run! The Grand Santa Parade starts at 4 pm this Saturday, March 15, at Traffic Light #10 and proceeds for an hour or more to Light #6. UPDATE: Here’s a slideshow of photographs we took of the parade!